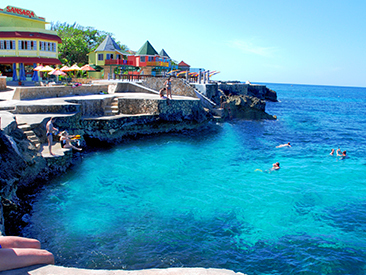 Samsara Cliff Hotel is an ocean front, all-inclusive boutique style hotel located on the cliffs of Negril. Set in five acres of lush tropical gardens, with spectacular views of the sea, Samsara offers guests some of the most breathtaking sights in Jamaica. Room types range from tropical cottages to traditional hotel rooms and include full-service swimming pools, a restaurant, a bar, spa services, a sun terrace, a tennis court, free Wi-Fi in public areas, games room and more; perfect for creating a vacation filled with activity and fun. Samsara Cliff Hotel is an oceanfront boutique style hotel located on the cliffs of Negril set in 5 acres of lush tropical gardens with spectacular views of the sea and the famous sunset, which happens nightly right in front of the hotel. 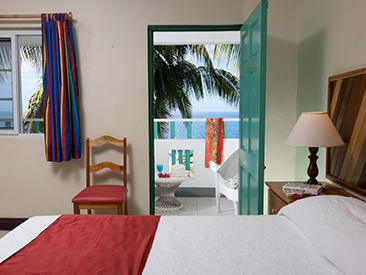 Room types range from tropical cottages to traditional hotel rooms. They are a full-service Negril hotel with swimming pools, restaurant, bar, spa services, sun terrace, tennis court, free WiFi in public areas and games room. Samara offers a free shuttle twice daily to their sister hotel, Legends Beach Hotel where guests have exchange privileges at both hotel facilities, including all-inclusive food and beverage exchangeable at both properties. 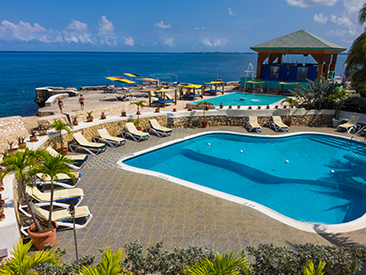 The hotel grounds are very spacious with large sundecks carved into the cliff and easy access to the sea for swimming, snorkeling and scuba diving via steps and ladders – just like getting into a swimming pool.